Great you have received a casting call email that is asking for a self tape to be submitted. To upload your self tape, click on the "Yes, I can attend" button at the bottom of your casting call email. A tab will automatically open in your browser, prompting you to upload your self tap. 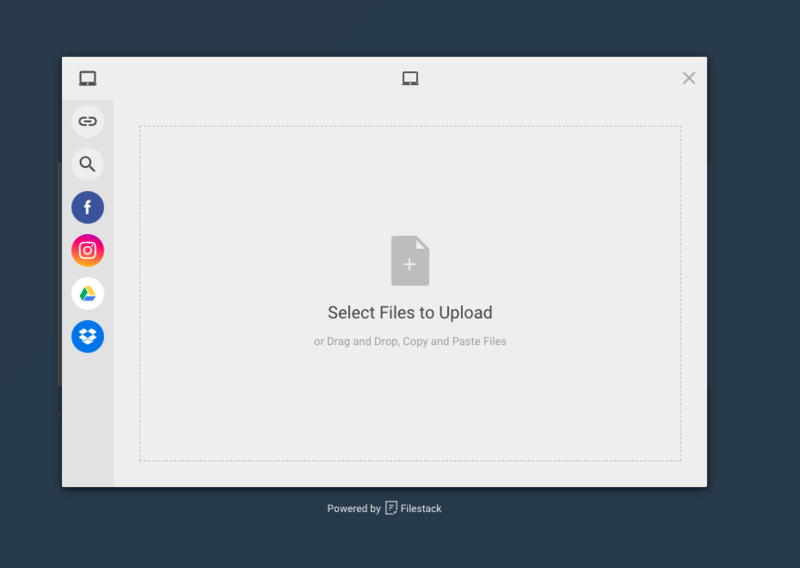 Click on the 'Upload Self-Tape' button to select the files to upload. Select your file to upload - you can only upload 1 Self tape video and it needs to be in a video file format. 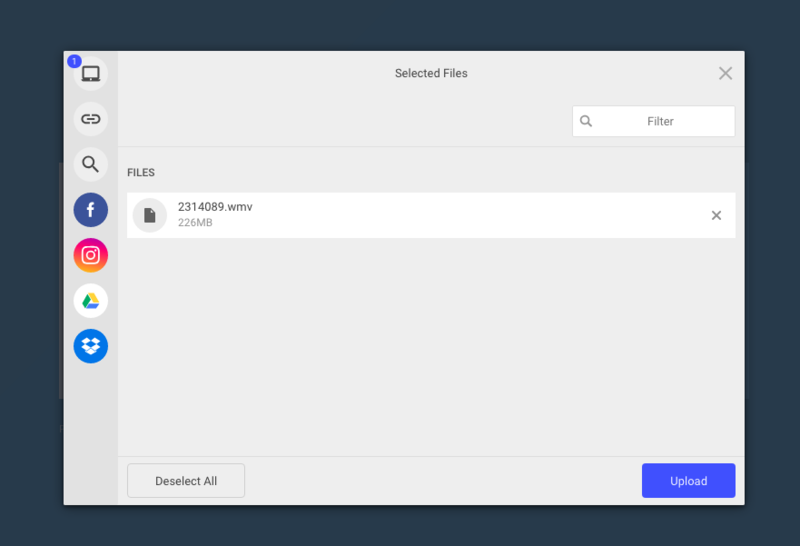 Once you have selected your file to upload, it will appear as a numerically numbered file in the list to upload. To upload click the Upload button. 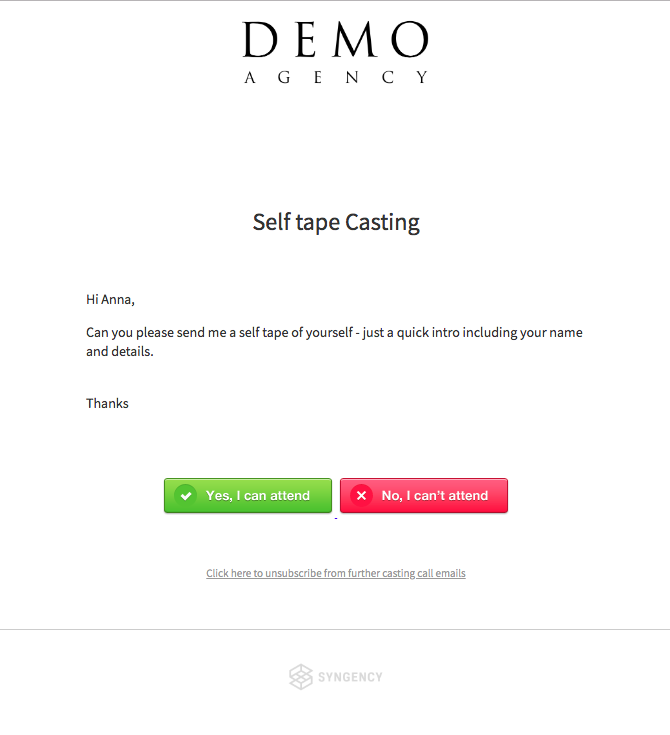 Once your Self-Tape as been successfully uploaded it will automatically go through to the agent who has sent you the Casting Call request for a Self-Tape.